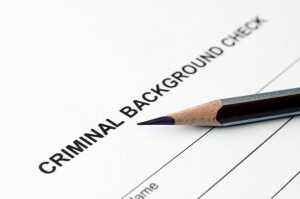 Are Background Checks Really Protecting Your Company? Performing background checks in a routine, check-it-off-the-task-list kind of way can give you a false sense of security. You keep doing them because you know you need to manage human risks, but in fact, due to cost pressures or changes in your environment, your routine background check process can become outdated or fail to address the real threats you face. The problem with routine background checks. As long as nothing bad happens, you are “rewarded” for doing inadequate background checks. But there are several major problems with shallow or poorly designed background checks. If you choose a one size fits all approach, with minimal tailoring for different jobs, you may run head on into an anti-discrimination lawsuit. Law firms that specialize in class action suits based on very technical violations of the Fair Credit Reporting Act (FCRA) are actively seeking to certify a class, and pursue legal remedy. Further, the EEOC has pursued a number of lawsuits against companies that allegedly used a blanket exclusion policy in their approach to criminal background checks. More narrowly, but perhaps even more importantly, relying on an inadequate background check process may expose you to claims of negligent hiring or retention. 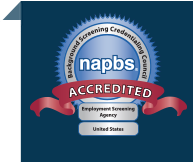 Since the whole point of doing background screening is to mitigate human risks, it is imperative that your background check be tailored to address all the risks inherent in the role in question. This does take some extra effort in risk assessment, but the bonus for doing it is that it makes your more individualized background screenings more “job related” and therefore less likely to expose you to unwanted EEOC scrutiny. A background screening policy put in place at one point in time may be inadequate at a later date. For many reasons, organizations and their environments change, often driving changes in job roles. Managers must review the background screening policy on a regular basis, and certainly following significant events like a merger, a rapid growth phase, the purchase or sale of a company or unit, or a major transition in leadership. Changing circumstances may signal a need to screen or re-screen existing employees. Any changes in the responsibilities of employees may mean that previous screening is inadequate or irrelevant—license requirements may be different, access to company assets might increase, or taking on supervisory authority can take people to their level of incompetence. Employers need to know. Make sure your background screening policy is doing what it’s supposed to do: lower your human capital risk exposure. Checking off the box for background screening from a task list will only feel good as long as nothing happens.